A hot bowl of delicious soup has no alternative. Where it is hot or cold outside, everyone loves to have some soup. Soups can compliment every other meal, even morning snacks with warm fresh bread. It’s fulfilling, tasty and such an easy alternative. The best thing about soups is that they are easy to make and blend in all the nutritional elements needed for a healthy living. 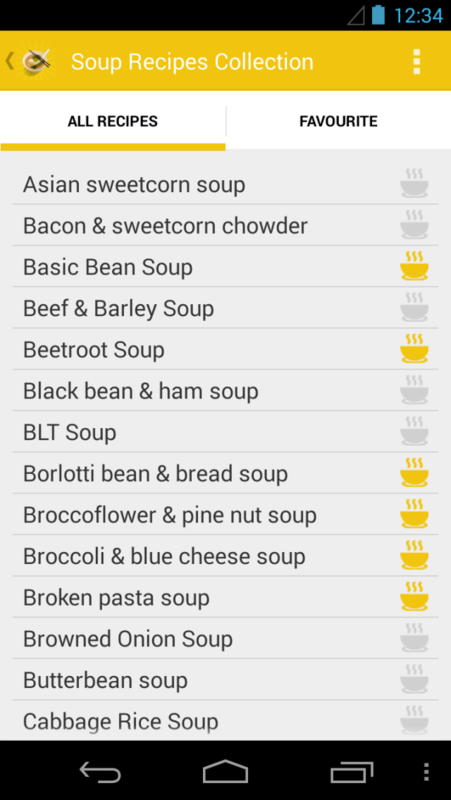 If you are crazy about soups, well you should have this app handy. 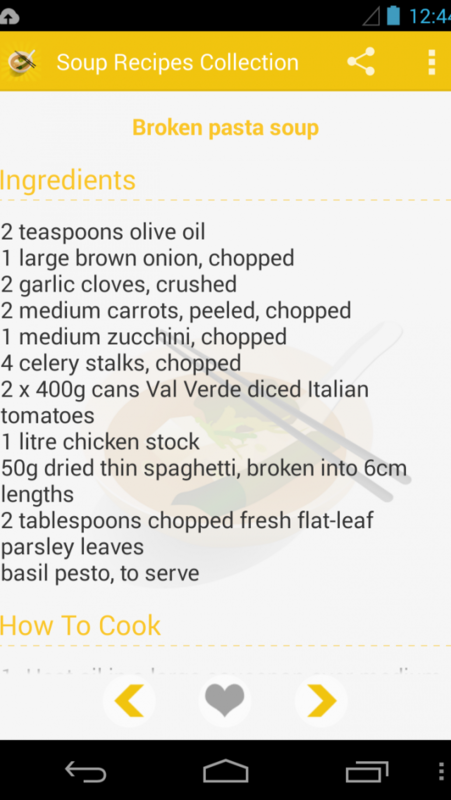 1) Collection of Soup Recipe. 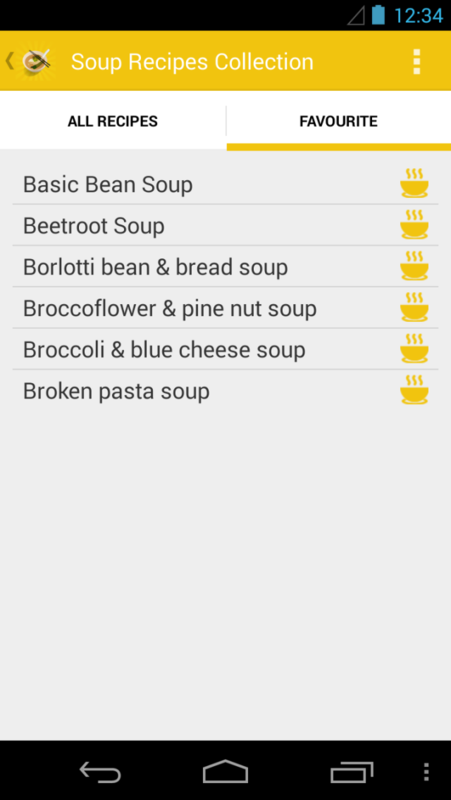 2) Favorites section for Soup Recipe you likes to try. 3) Share Soup Recipe with other family and friends. 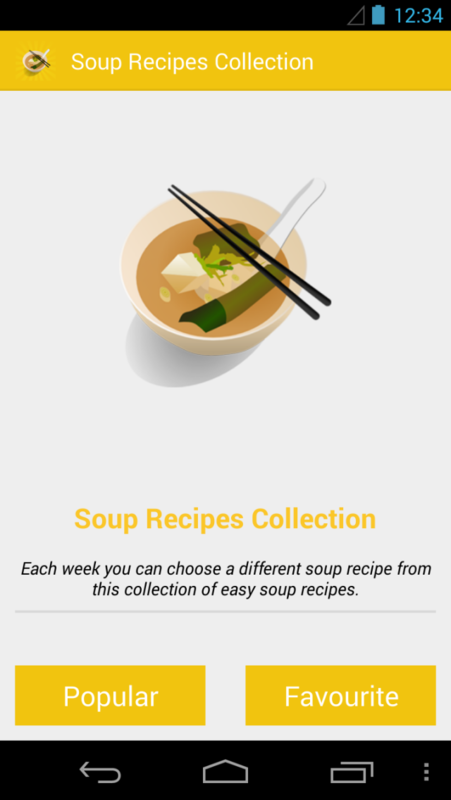 Healthy and delicious soup recipes are easy to follow. With little help from this app, you can create wonderful results. It also doesn’t require big investment to get a ready to eat soup. Be it a chicken soup or plain tomato soup, you can add up to the nutritional level by adding healthy ingredients including herbs and veggies. Further adding some spices can make even the most disastrous tasting herbs and veggies more than just gulp able. Soups are an easy way to make kids have the veggies they normally would run from. If someone is ill in the family or among friends, soup is the easiest food to take in without compromising on taste and normal nutritional values. As already said, soups can be combines with all types of servings. They are staple breakfast along with fresh brown breads. People have soup before the main dinner course and they can also be full alternatives to heavy lunches. Soup is the most versatile meal that one can have. Homemade soups can also be preserved and taken regularly. It just takes some heating to get a bowl of delicious soup. With several flavors available in the market today, no bowl of soup can taste bad. 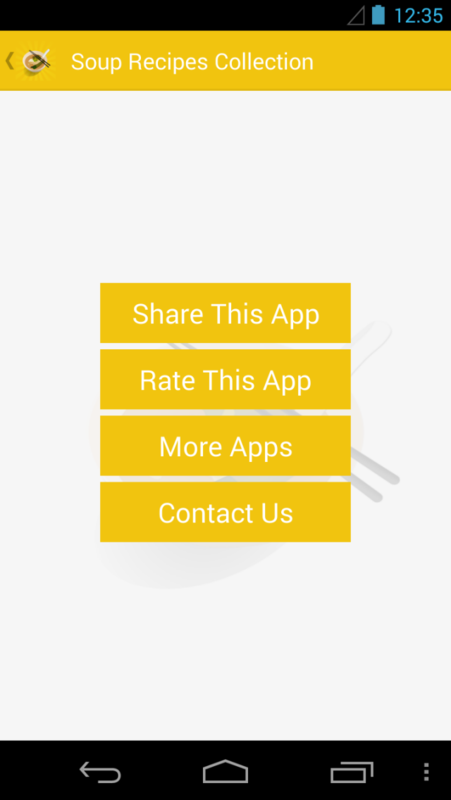 Download this app to know more options.